Fast forward twenty years into the future. No one knows what life will be like, but the time capsule left behind by Borger Middle School staff and students will give future generations an up-close look at 2018. The topping off ceremony and time capsule placement celebrates the renovation of the building at Borger Middle School but also marked a major milestone for district wide improvements that are bringing new life into the community. 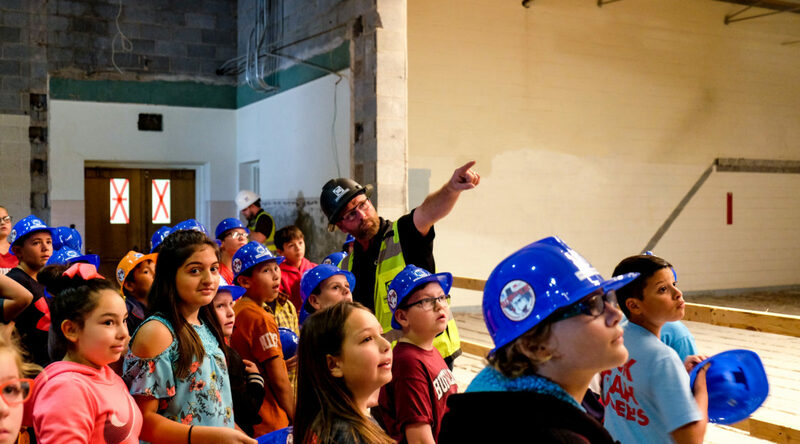 Approximately 800 students attended the event where they signed their names on exposed cinder block walls that will be preserved behind finished drywall. One student said his grandfather signed the walls in 1959 when the school was first built. Nearly 60 years later, he gets to repeat the same honor. Students sign the cinder block walls at the topping off ceremony. Students and teachers filled the box with newspaper articles, photos, letters, USB drives with photos, and predictions for the future. For an added element of surprise, a few unidentified items where added and will not be revealed for another twenty years. Aside from the contents of the box, the vessel itself holds historical significance. 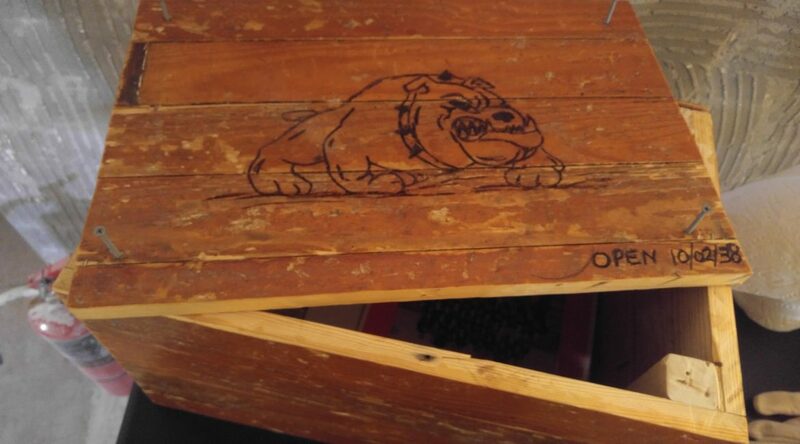 Art teacher, “Miss Mo” hand-crafted the wooden box and etched it with the Borger bulldog mascot. Reclaimed wood taken from the original performing arts stage was used to construct the box, making it a part of the time capsule. The box was secured within the walls of the building where it will remain unopened until 2038. Box made from reclaimed wood from the original stage. “This was truly a group effort. We owe lots of thanks to Lecky and Miss Mo for making everything come together and to HB’s team for making it such a fun and special day last week,” said Dayna Flood, Borger Middle School Librarian. Located in the panhandle of Texas, the Middle School project is part of Borger Independent School District’s phased improvement plan. 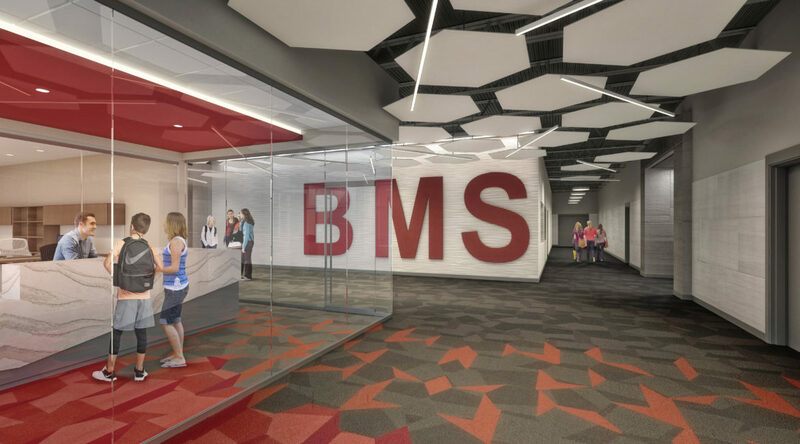 HB Construction and Parkhill, Smith & Cooper Architects are working together using CMAR project delivery to complete over 100,000 sq ft of renovations and additions at the school. 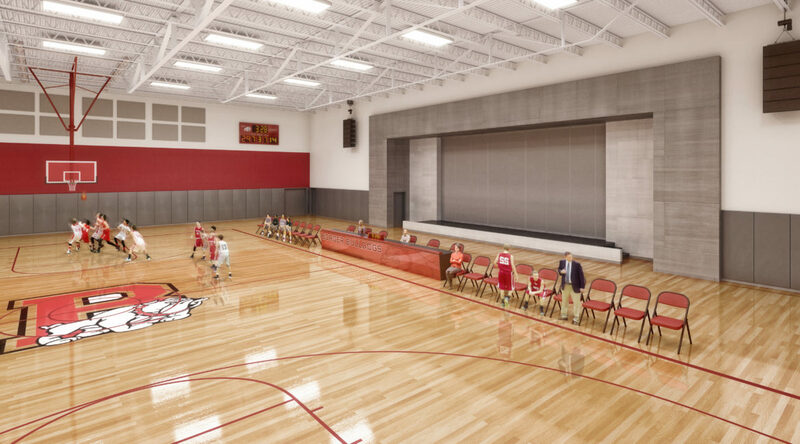 Upgrades to the 60 year-old school include new plumbing, restrooms, hallway improvements, security improvements, a renovated auditorium, and new gymnatorium. HB is also performing extensive renovations to the existing Borger High School. How can we help you? Leave us a message, and we'll get right back to you.